I obtained permission for a new site today. I was a bit excited about this one, but I learned in the past not to get my hopes up. I hunt all sites differently according to the size of the property. Today's yard was 15' x 15' so I decided to do a quick scan without digging any signals, just to get an idea of what may be to come. Instantly, I started getting penny signals everywhere in the 2 - 3 inch range. 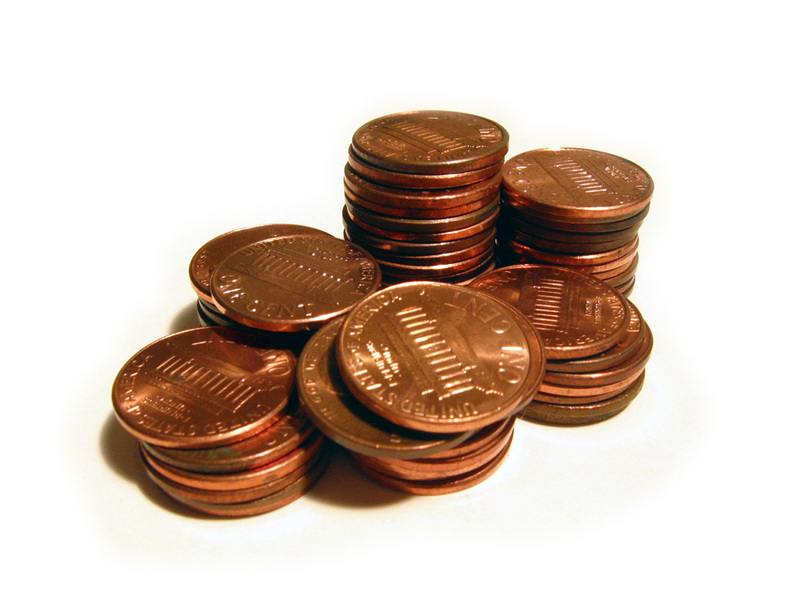 Clad penny. After clad penny. 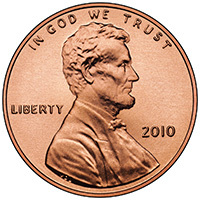 After clad penny. After about twenty minutes, I got all the shallow targets and tried to go for the deeper stuff. A few swings later, I heard a decent signal about 6 - 7 inches down. I cut the plug, and it was another penny. 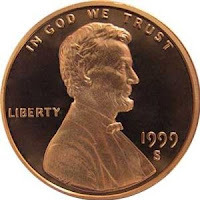 A 1999 memorial penny at 6 inches deep. Not even a wheat in this yard, and the site is over 125 years old... had me shaking my head. I was pretty sure now that this was all fresh topsoil laying over the original soil. So, I packed up and left. Sometimes sites that look promising turn out to be a bust. So, I stopped back at the site that I went to this weekend. I was looking for property stakes for the homeowner, which was unsuccessful. 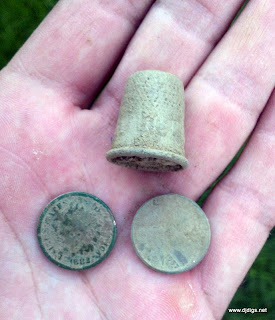 So, I hunted the yard for a few minutes and turned up a thimble. 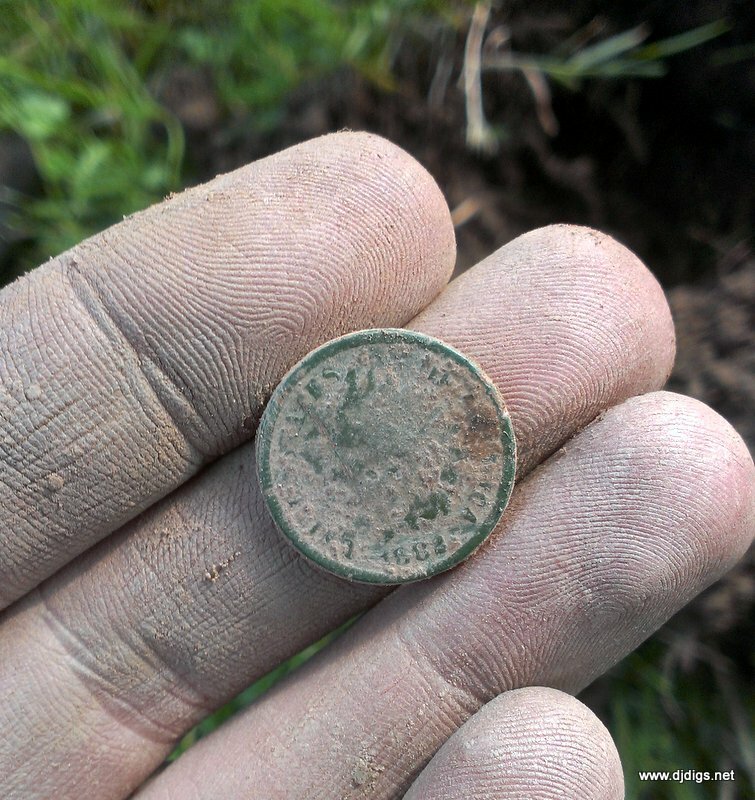 I was also happily surprised to dig an 1882 Indian head penny. So, I ended up with an older coin from a newer site, and modern change from the older site. Some sites aren't as promising as they may look, and others may surprise you by turning up items you weren't expecting to find.